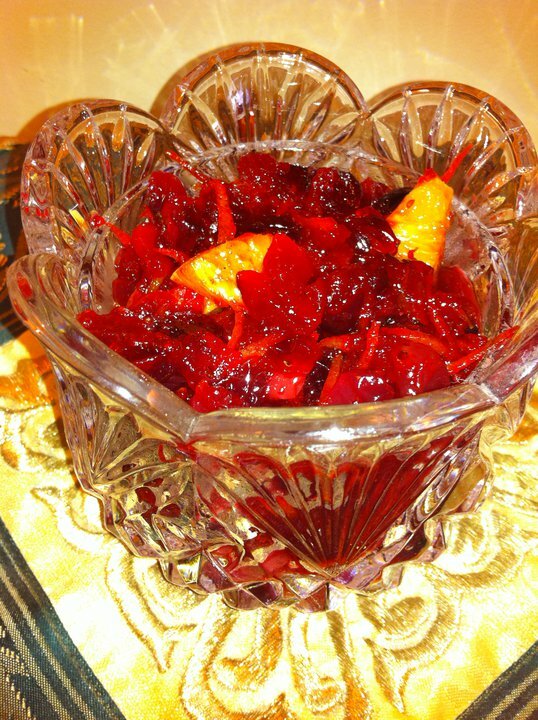 Crushed Cranberry Orange (can be nutty) Relish – Don't Forget the Cream! A sweet-tart relish that is not-too-sweet and not-too-tart, unless you want it to be. Toasted nuts can also be added for a more earthy flavor, but to be honest, I don’t like the added crunch. It’s all about preferences, so have it your way! 1 orange (more to tasted), that has been washed, dried, and the peel scored off into thin strips. Remove all of the white pith from the peel, as that imparts bitterness. In a separate container, juice the fruit. Pull some of the meat, with no membrane, from the orange. Set aside. 1 cup of sugar (more or less to taste) NOTE: I use white sugar so the color stays vibrant but you can use brown sugar if you prefer. 1. Place the cranberries in a pot with a lid, add the sugar, orange juice, and just enough added water to almost cover the cranberries, if needed. 2. Simmer until the berries burst, stirring regularly. The sauce should also be sufficiently jellied. If it isn’t, allow it to simmer a bit longer. 3. Add the orange peel and orange meat, remove from heat, stir, and place a tight lid on the pot. This will impart a bit more flavor and soften the orange peel. If you would like to add a nutty flavor, roast your nuts in a 300 degree oven for about 7 or 8 minutes, stirring so the nuts do not brown. The type of nut will affect the time, so check regularly. When you begin to smell the nut, it is done. Allow to cool, chop into small pieces, add to the chutney. Walnuts, pecans, hazelnuts are all good choices. I would suggest staying away from almonds or peanuts. Add wine instead of water or orange juice for a deeper flavor.